Happy Friday! It's Jeanne sharing today and I have a card that is simple yet elegant. As I was making the card I was asking myself if it needed "something more" but when I was finished I was very happy with the result. I have a shelf across the room from my desk where I place my cards and this one really "shines". 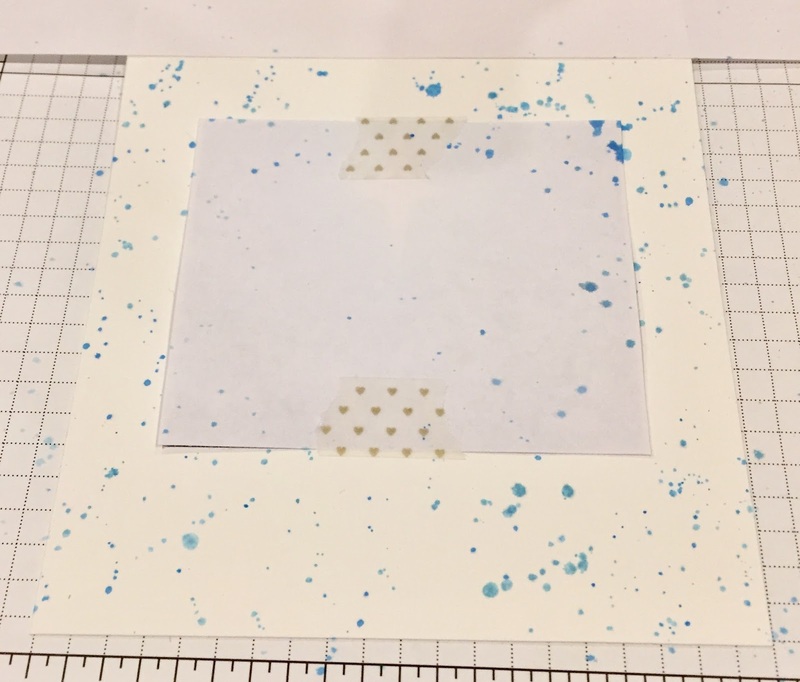 The card base is 10 x 5 inches, scored at the 5 inch mark to make a 5 x 5 inch card. 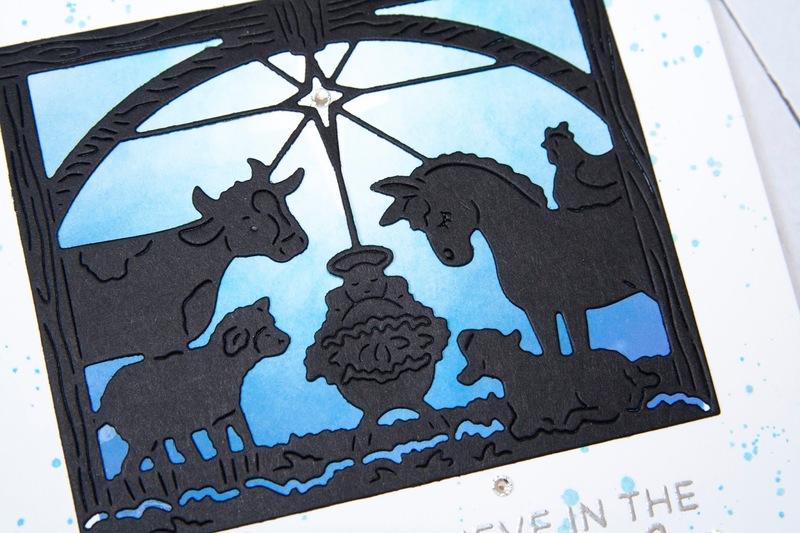 I used black card stock and die cut the manger scene. I used the outside of the die cut as a pattern and masked off a rectangle slightly smaller than the die cut. 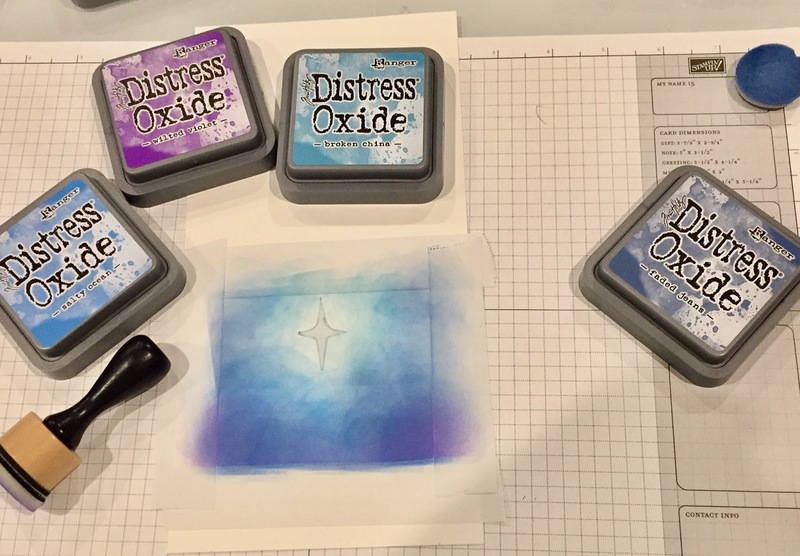 I also masked off a rough star shape in underneath where the star on the die is. 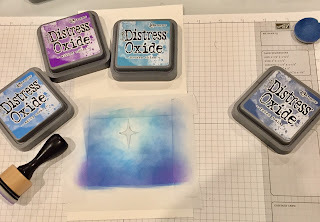 I used Broken China, Salty Ocean, Faded Jeans and Wilted Violet Distress Oxide inks and a blending tool to create a night sky. I kept the lightest color nearest the star. The Wilted Violet is only in the corners. 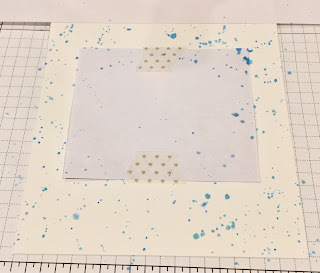 I then covered the background with paper and added some splatters of the Broken China and Salty Ocean to add some interest to the white portion of the card. The I used silver embossing powder to heat emboss my sentiment. I adhered the die cut on top and added a rhinestone to the center of the star and a few near the sentiment. I hope you enjoyed this simple card today. Although it goes together quickly, it does have an impact. The Oxide inks seem to glow behind the silhouette die cut. 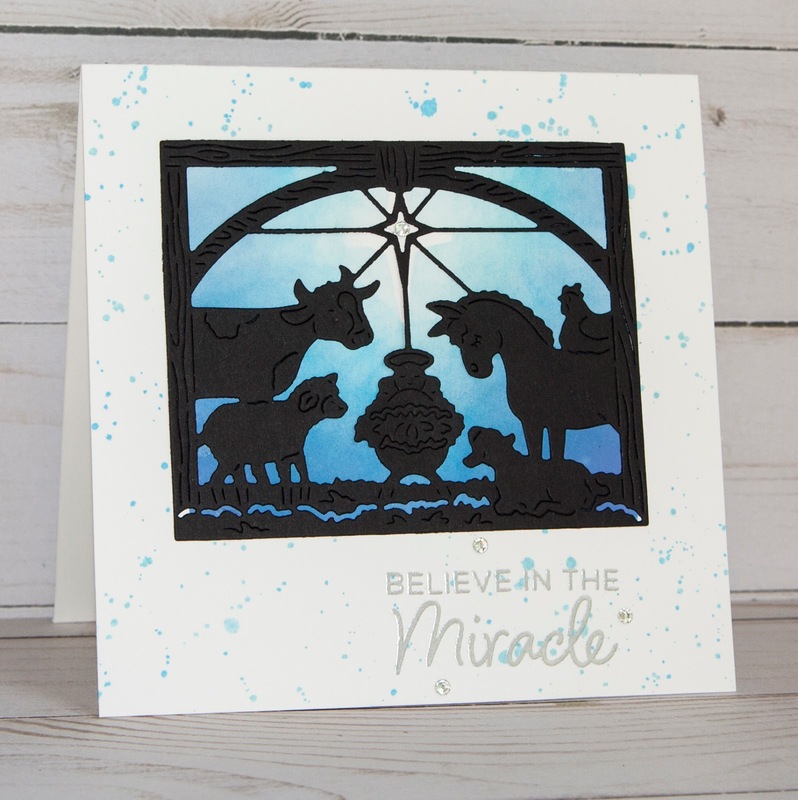 Gorgeous card with the true meaning of Christmas! 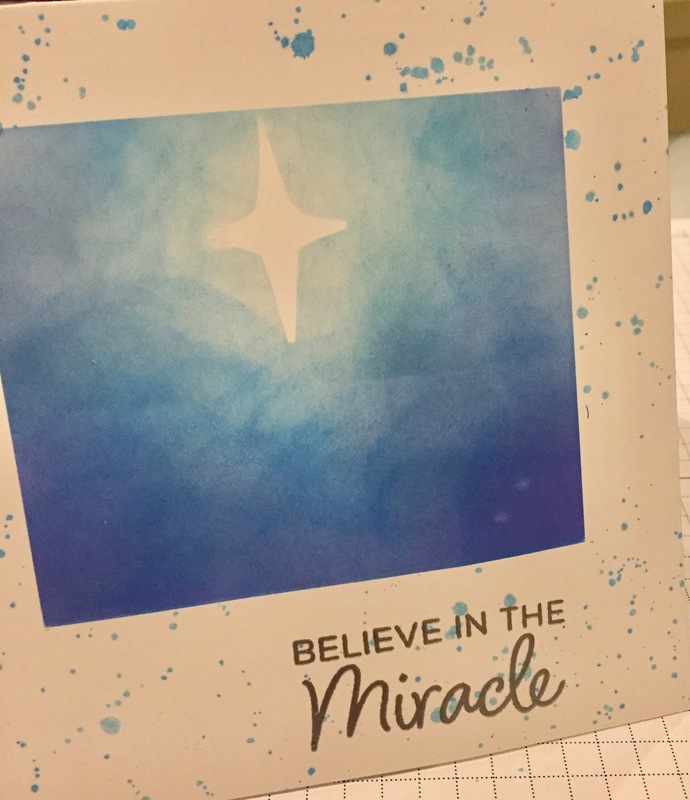 Beautiful card that displays the true meaning of Christmas. 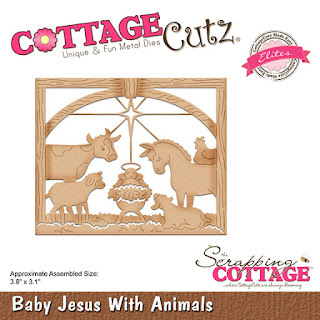 Love the silhouette die cut and how you colors glow behind it. Nice Christmas card, and so beautiful background with the shining star. Your card is just beautiful. I love the background. Perfect. Beautiful card...definitely shows the true meaning of Christmas. Nice work! 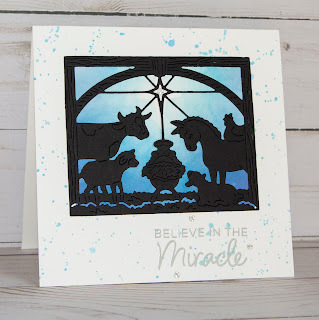 I like the look of silhouettes, and you made a lovely card using this Nativity die-cut. The way you highlighted the star was perfect!